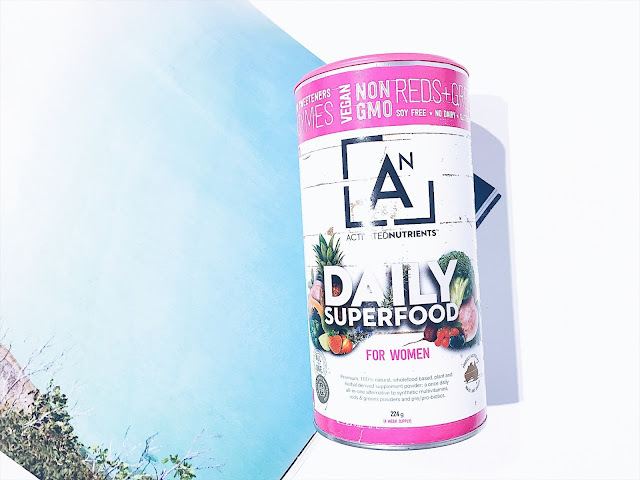 Co-written with guest blogger Activated Nutrients, Aussie-made wholefood powders that help bridge the nutritional gap for the 93% of Australians that aren’t getting enough nutrients in their daily diet. You don’t have to look hard to find a scientist singing the praises of a consistent morning ritual. There are countless studies on the subject, conducted all over the world by institutions of all sorts. 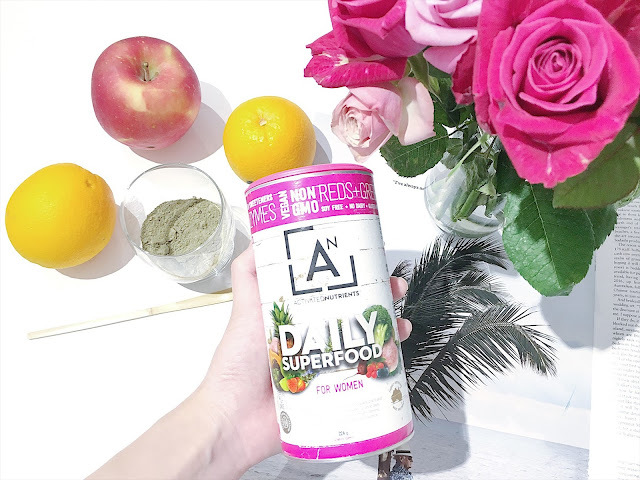 Together, Activated Nutrients and Livia are looking at some of the benefits of a morning ritual, the most common ways to implement one and even the psychology behind the positive impact these practices can have. Activated Nutrients are wholefood daily superfood supplements made entirely from raw plants (over 50 raw plants, actually – all hand-picked to make up a nutritionally complete powder). So, naturally, the Activated Nutrients team was keen to look into the role of food in morning rituals. A lot of the research around morning rituals suggests that food plays an important role in not only establishing the rituals, but laying a foundation for the day ahead as well. In one study published by The Obesity Society’s scientific journal, researchers looked at data from nearly 2,000 randomly chosen people to figure out if the rhythm of their biological clock had an impact on what they ate and when they ate it. The findings? That early-risers were making more healthy food choices than late-sleepers, not just at breakfast time but throughout the day. Beethoven, for instance, hand-counted 60 coffee beans every morning because he believed that 60 was the magic number for a perfect cuppa. And presumably, he had an attachment to the ritual of counting the beans, one-by-one. So, if you spend extra time preparing food just how you like it and consuming it in a methodical way that appeals to you, you’ve basically bonded with the food! It seems that this bond may make the experience of eating it more meaningful. This theory was applied and proved to three very different foods: chocolate, carrots and lemonade. Another study, published in the Journal of Applied Social Psychology, sums up its findings with, “Morning people are more proactive than evening types.” They go into more detail, but that’s the conclusion put simply. This study, and others like it, suggest that the time you wake up and how you wake up are also important. Activated Nutrients has written about tips for optimal sleeping conditions and wake-up habits, many of which were sourced from Activated Nutrients Chief Science Officer, Dr. JB. The two tips that can be most helpfully applied to morning rituals are the conditions in your room and the alarm you use. Natural light is key because sunlight has a powerful effect on your circadian rhythm which, as we’ve discussed, could impact your food choices throughout the day. As for the alarm, find a gentle sound or even a nice song that’ll ease you into the day instead of shocking you awake. A lot of people advocate for incorporating some form of meditation into your morning ritual. A 2014 study looked at the brain’s response to mindfulness and meditation. The researchers reported that according to their results, mindfulness impacts the function of the medial cortex, default mode network, insula, amygdala, lateral frontal regions and basal ganglia. That’s a lot of brain stimulation! And guess what – it’s similar to the brain stimulation usually associated with exercise. To sum up, there’s a lot of evidence suggesting that morning rituals can improve physical and mental health. But we want to stress that a ritual doesn’t have to be time-consuming. It can be as simple as making the same smoothie every morning and drinking it from your favourite cup. Or you can listen to a short playlist while you take a walk around the block. It might be spending five minutes setting three simple goals or intentions for the day before you get out of bed. We wanted to share the research with you but the specifics of a ritual are a very personal thing. Do whatever feels right, stick to it and keep an eye out for the positive changes that may flow on. Cleanse the face - By using a gentle cleanser, I'd apply this onto my face and rinse off using lukewarm water. My face now feels fresh and awake! Stretching is a must - A five minute stretch is key to waking up my muscles and getting them ready for the day. Followed by a quick session of yoga - Next, I'll look to include a quick session of yoga by the window (that way I get enough sunlight). By allowing your body to fulfil a session of yoga every morning, this leads to increased flexibility, muscle strength and tone as well as improved energy and vitality. It helps me to feel more balanced which is essential. Whipping up a healthy smoothie - After yoga, I'll head over to the kitchen where I'll look to mix up a delicious superfood drink such as the Activated Nutrients Daily Superfood for Women - that's full of natural wholefoods, plants and herbal supplement nutrients. Every morning, after having one glass a day, it personally leaves me feeling healthier and more energised. It's such a healthy and nutritious drink that contains all of the multivitamins, reds and green powders. Also, it helps to support the immune system, mental performance, reduces tiredness and even boosts collagen production (great for the skin and hair). Looking good and feeling great is so important for me to stay on top of things. All of that being said, following a simple morning ritual allows me to stay active, less tired and more energised. 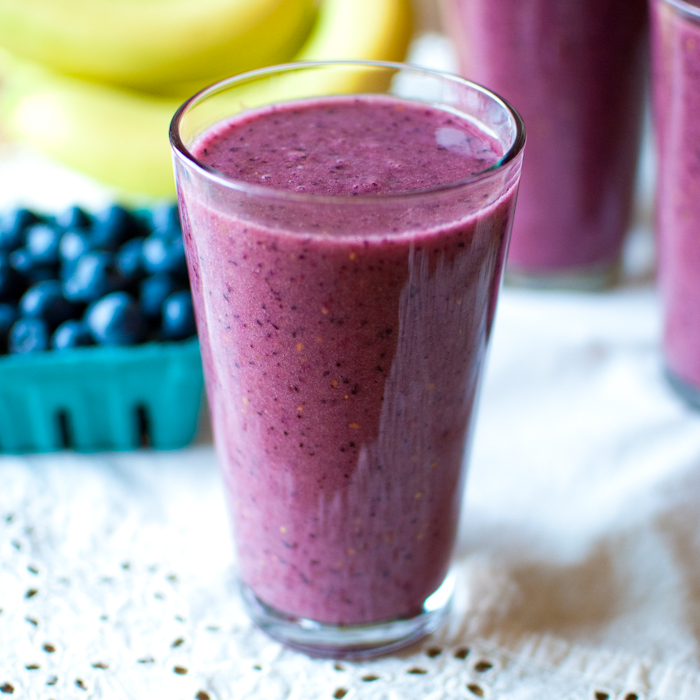 Mix it all into a blender and voila… you’ll have yourself a nice smoothie to enjoy for the morning! Pearson, Taylor. The Perfect Morning Routine (Backed by Science). 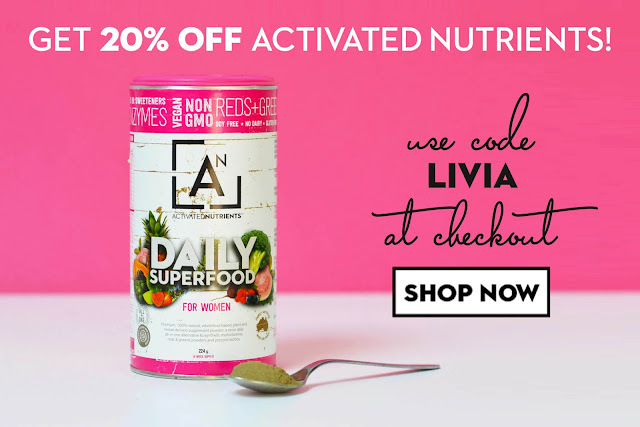 And remember, there's a special discount of 20% off the Activated Nutrients range by using code: LIVIA upon checkout! Thank you to Activated Nutrients for supporting me for this review. My reviews are based on my own experiences and I only recommend products that I truly believe in.